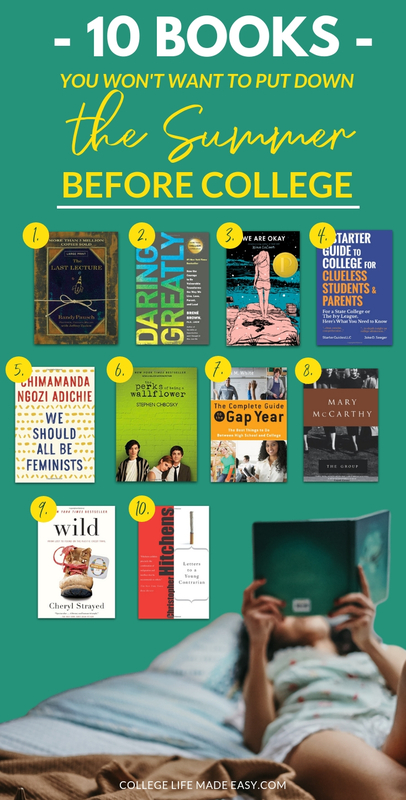 Don’t wait until the last minute to get your hands on these books to read before college! When you’re in the midst of your senior year of high school and getting ready to graduate there’s a lot going on! With so much to keep track of, reading may be the last thing on your mind. 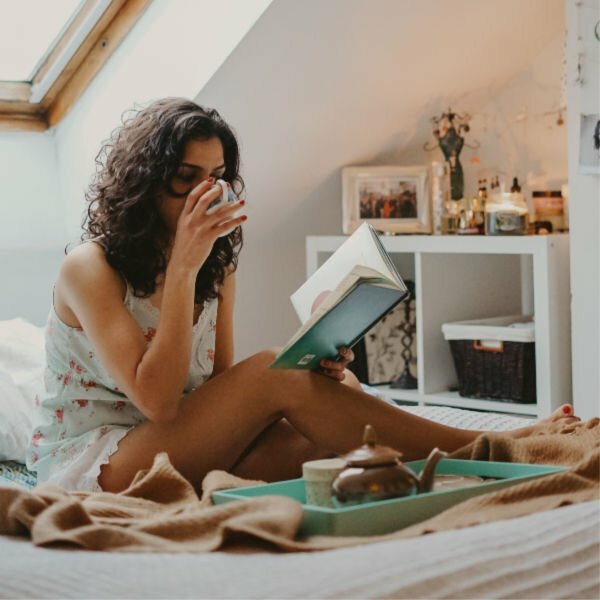 If you find some downtime, or you’re feeling a little directionless about life after high school – picking up one of these books to read before college can definitely help. Or at least, give you some ideas! It took me 6 years post-high school graduation to figure out what I wanted to do! Seriously though, if you don’t know what you want to do career-wise just yet don’t sweat it. Time is needed to create and do great things. I think I’ve rambled long enough. Let’s take a look at these books! 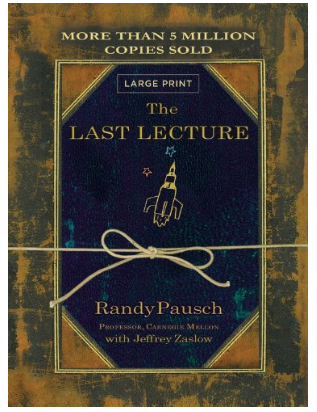 About: After being diagnosed with terminal cancer, computer science professor Randy Pausch gives an awe-inspiring lecture on achieving your dreams. About: After college you may feel vulnerable to the new “adult” world before you. 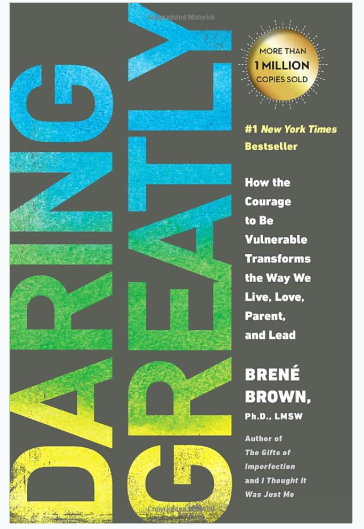 This book by Brené Brown encourages you to embrace it, and take a look within. 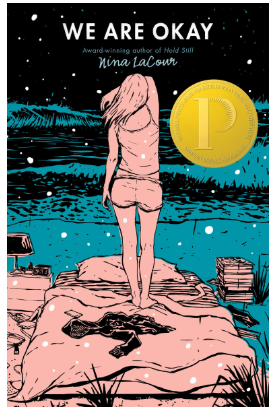 About: Exploring love, loss, and family – this book is an after high school must read. 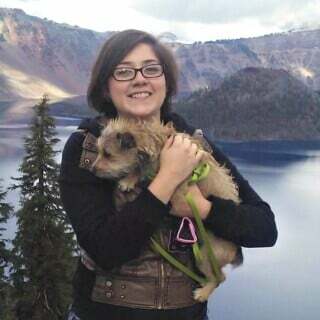 Author Nina LaCour writes about Marin, a lonely freshman that moved across country with a grief-stricken past and a best friend that comes to visit, & unravel that past. 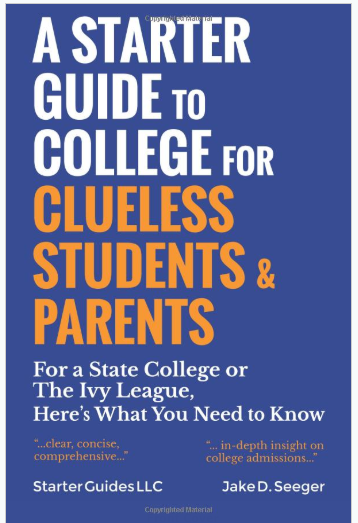 A Starter Guide to College for Clueless Students & Parents: For a State College or the Ivy League: Here’s What You Need to Know by Mr. Jake D. Seeger. About: A great reference guide with everything you need to know before choosing your college. 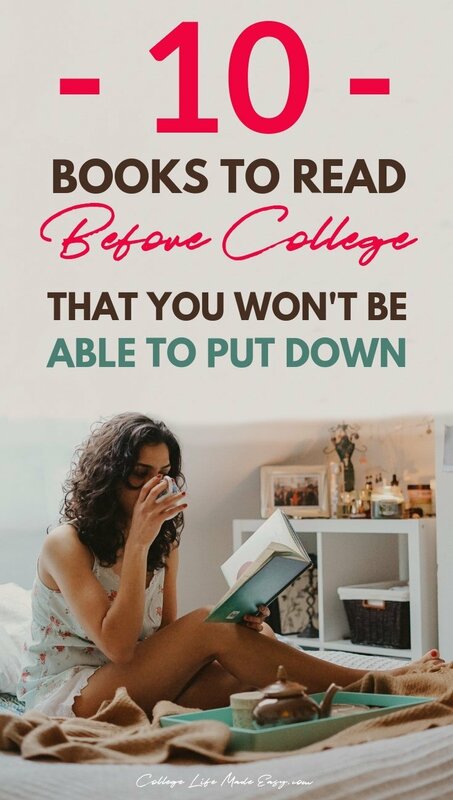 Helping you navigate all the ins and outs of finances, financial aid, admission statistics, college degree levels & more – this is a WORTH IT book to read before college! About: What does it mean to be a woman now? 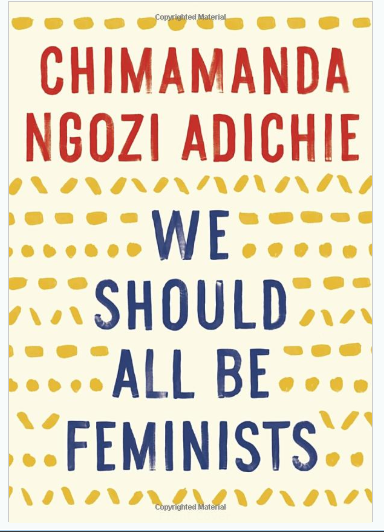 In this essay by Chimamanda Ngozi Adichie, we take a look at feminism in the 21st century. A wonderful book for male and female college-bound students. 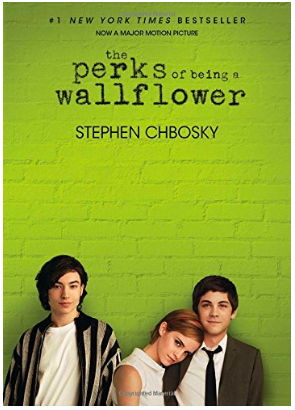 About: A classic coming of age story, this novel covers high school at its highs and lows through the eyes of Charlie and his senior friends. 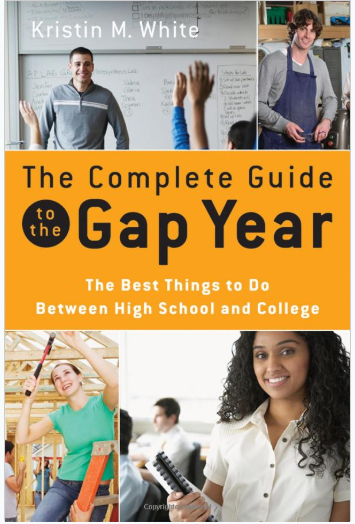 The Complete Guide to the Gap Year: The Best Things to Do Between High School and College by Kristin M. White. About: Not really feeling college or know what you want to do? That’s completely fine! If you need some help navigating your gap year check this book out. 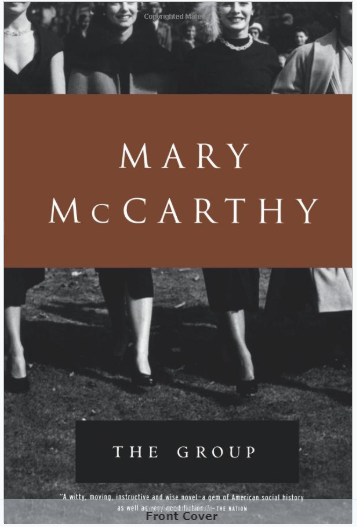 The Group: A Novel by Mary McCarthy. About: Published in 1963, a story that is set in 1933 and is still relevant to this day. Following a group of young women who have just graduated and begin to go their separate ways. Through tragedy, the group is united once again years later. About: Have an itch to explore the great wilderness? This memoir is about just that. 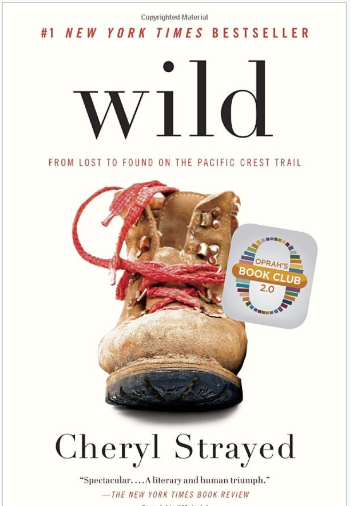 Take a look at how she copes with her mother’s death & her divorce, by hiking through the Pacific Crest trail for thousands of miles alone and untrained. 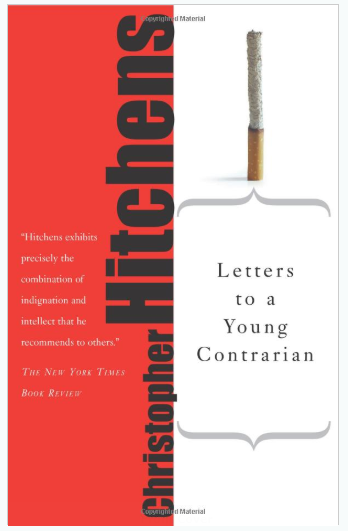 Letters to a Young Contrarian (Art of Mentoring) by Christopher Hitchens. Christopher Hitchens writes about the mentors that inspired him – and the importance of disagreement. What other books would you recommend reading before college?